Would you like to turn your Android phone into a Wifi hotspot? If you are interested, then you should check out the following top android hotspot apps here. 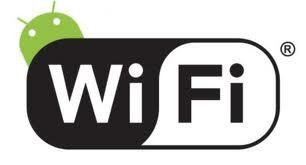 Wi-Fi Tethering enables users to connect their android device and makes use of the Ad-hoc mode or AP mode wherever they are accessible. Apart from this WiFi Tethering can wirelessly connect hangers-on by pairing them through Bluetooth. This works brilliantly with both 3G and 4G and enables you to share internet with all systems running different OS such as Windows, Mac, Ubuntu etc. Wireless Tether is another wonderful hotspot app for android device which can convert your android device into a wireless hotspot to share internet connection. The highlighting feature of this app is that it supports the infrastructure mode on select android device which enables you to control Wi-Fi transmit power through this encrypted application and also even gives option to select particular devices who can join your network. WeFi is yet another great android hotspot app which converts android mobile into a date sharing hub. Apart from this app this enables you to take advantage of the available ones so that you can save on data plans. This app is a quick and easy way to findout hotspots near you and utilize one which allows you to make use of the one that offers the maximum internet speed. In case if it is not enough, it enables you tag new hotspots as businesses and so on. With this specific app you can choose to install Wi-Fi Hotspot & USB Tether Pro with your android device in order to share your data connections with other devices. It works best with both 3G and also 4G networks. It is available for free. We believe Top Android Hotspot Apps will surely be helpful as for as your phone’s Wi-Fi connectivity is concerned. If you install any of the above said apps, pls drop us your feedback about your experience through comment section.